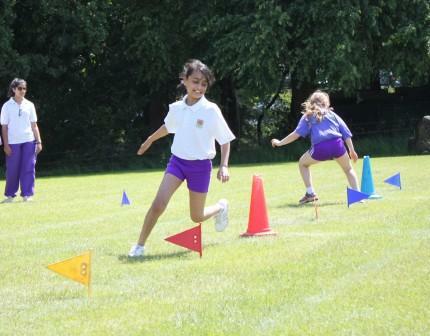 With the World Cup, Wimbledon and the Commonwealth Games all taking part this summer, here at Westholme’s Infant and Junior Schools, we realise that our sports provision is as good as ever – will we find the next Andy Murray, Jessica Ennis or Steven Gerrard? With expert guidance from a wide and skilled team, including Mr Lewis, Mr Warburton, Mrs Ingham, Mr Haworth and Mrs Sutcliffe, our children are in safe, sporting hands. Along with other dedicated members of staff, the children at Westholme consider sport to be one of their highlights of the school week. As we look towards the next academic year, at the Junior School, our girls’ PE lessons will be brought in line with the boys and this will see them undertake an extra lesson of games per week. We have recently introduced tennis, which is proving to be very popular. We also plan to run a Sports’ Tour, which will take on the same format of the Senior School Sports’ Tour. Pupils in Year 5 and Year 6 will embark on a trip that will see them compete in various sporting fixtures, such as hockey, netball and football with other schools along the tour. We continue to see the significant benefit of Infant and Junior links. We intend to pair the Year 6 children up with our younger pupils at Infant School for some PE sessions. From September, pupils from Reception through to Year 2 will also be having swimming lessons each week as part of their curriculum, which is a really exciting development. The younger our children are exposed to swimming, the more confident and sure they become. ‘Westholme Water Babies’ here we go! 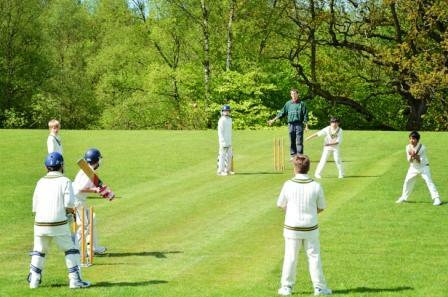 We have an extensive Co-Curricular programme, especially when it comes down to sport. For at least 3 nights each week, all our junior pupils are able to participate in a Co-Curricular sporting club, whether it be martial arts, running, cricket, athletics; the list goes on! 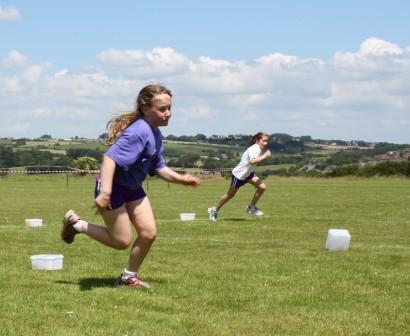 It is the same for our girls: netball, indoor sportshall, rounders, athletics – there is something for everyone. 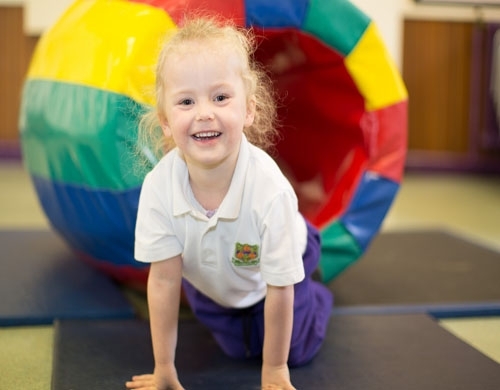 Our Infant School pupils enjoy taking part in clubs such as Funky Fitness, Martial Arts and Ballet. 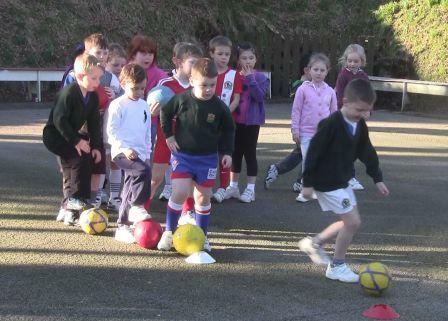 Recently, children attending Sports’ Club enjoyed a session at Golf Rossendale. Competing at fixtures is something we are passionate about. Even at Infant School level, our football team have taken part in home and away fixtures, which enables them to learn team sport skills, which will stand them in good stead for their transition into the Junior School. Winning is important even at a tender age, and it fosters the art of losing gracefully too! Sporting highlights for our Junior PE staff over the past academic year have included our Junior Boys winning a chest full of medals at the Blackburn with Darwen Swimming Competition and Year 6 pupil, Matthew Ninan, winning a gold medal in the triple jump at the BPS Athletics tournament. We had some further success at the girls’ school, with Year 4 pupil, Hollie Cubbon, qualifying for the Schools’ Biathlon final and Molly Moore representing Lancashire in Indoor Sportshall. A common highlight for all teachers though, is just seeing each and every pupil taking part in PE at all levels, whether it is our Infant School Football Team playing a friendly match, or a more competitive fixture at Junior level. As we head into our season of Sports’ Days and the new academic year in September, the sporting future is certainly bright at Westholme!